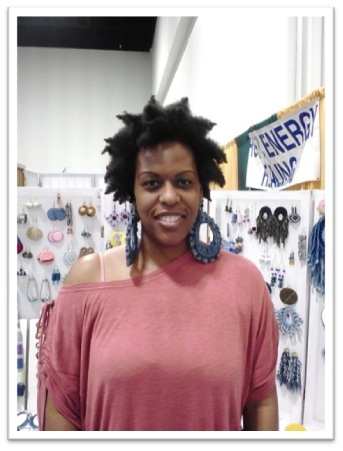 I met Melvin Whitehead, Owner of “Nivlem Denim Jewelry” in 2012 at the Juneteenth Expo held in Atlanta at the Georgia International Convention Center. When I saw his display, I was like “WOW!” This is AMAZING… And I’m a “Blue Jean Lover” too; I was in “Denim Heaven” seeing this. 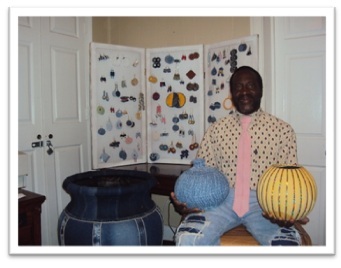 Melvin began using recycled jeans found in thrift stores and other consignment shop some 23 years ago. And today, he’s still making unbelievable creation with “Denim Jeans”! 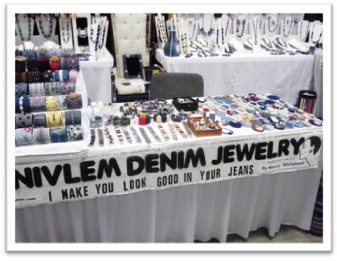 But here’s something else, not only is the denim used applied to jewelry, Melvin makes custom ties. He even redesigns furniture and other home décor items such as chairs, canvases, mirrors, trinket boxes, and vases. I knew this type of creativity had to be divinely inspired because the intricacies of the design details and its application were extraordinary… Being very intrigued by his designs, I asked him about the idea and sure enough, Melvin told me that back in the late 80’s he noticed a lot of individuals wearing denim. So one day while “People watching at South Lake Mail,” he took inventory of this as he observed most of the people wearing denim pants. And being no stranger to the jewelry industry as he was selling custom gold jewelry at the time, it influenced the brainstorm that inspired Melvin to come up with something unique to compliment the ensemble and jazz up the jeans. Today, Melvin’s “Denim Designs” can be found at arts and craft shows, expos and festivals around Atlanta. 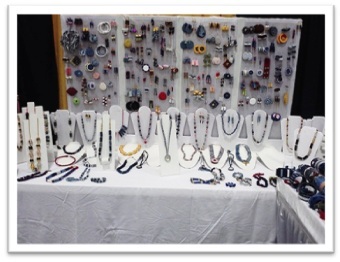 And “Real Rootz Apparel” will be showcasing and vend the denim jewelry starting Saturday, April 6th at Sherane’s Closet. Nivlem Denim Jewelry is a little known secret here in Atlanta, but look to see these precious creations national and internationally… For those of you who “LOVE JEANS,” you’ll definitely “ADORE Denim Jewelry”!